Stand out with a Top Job! 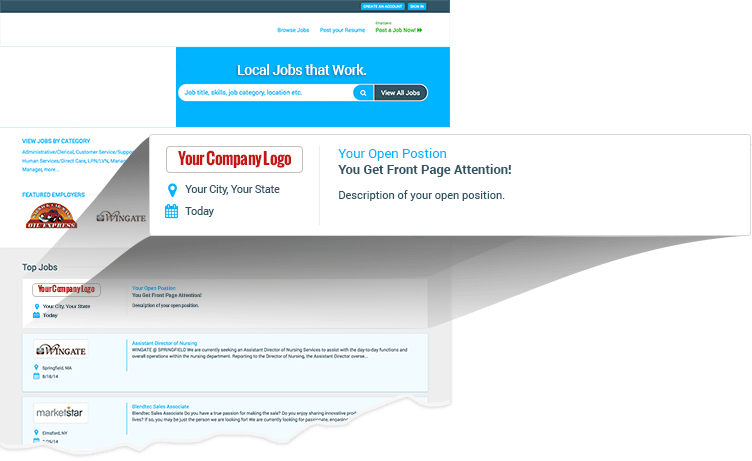 Put your Job Posting on the Home Page with a Top Job Position. Get extra attention from Potential Employees. Direct Job Seekers to the job you need to fill! Display the Job Title and a headline on our Home Page. Use a Top Job position to link directly to a detailed description of the job.